WARNING: This review contains spoilers. Events which occur towards the end of the book are discussed in some detail in the 6th paragraph below. It doesn’t reveal the plot’s surprise twist but it is a pretty major reveal all the same. I tried but could not manage to discuss my thoughts about the book without revealing more plot spoilers than I am normally comfortable with. 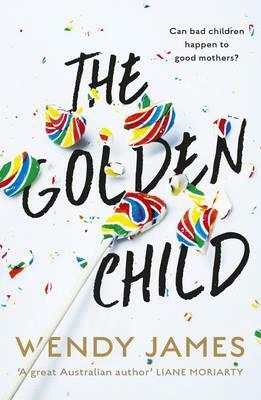 Using the philosophy that underlies the advice about ripping bandaids off quickly, I’m going to get the hard part of this review out now: I didn’t like THE GOLDEN CHILD. I wanted to like it. Very much. 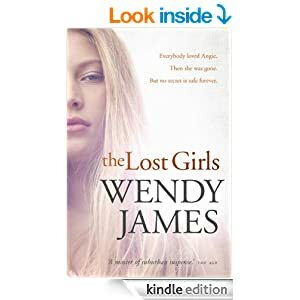 I have read most of Wendy James’ other books and thought them all very good, with THE MISTAKE having a firm place on my ‘go to’ list of great book recommendations for any sort of reader. I bought this one on pre-order, even before I started seeing all the good reviews it has garnered. But though I kept reading and hoping my dislike was a temporary thing, the book never really grabbed me at all. I imagine the Germans have a great word to describe the particular kind of disappointment that follows the non-enjoyment of a much anticipated book. In the absence of their superior linguistic skills I’ll just say I am sad. The book – which falls within the suspense genre at its broadest definition – is centred on the Mahoney family. Well the Mahoney women really; engineer Dan Mahoney’s role in this story is to act as the plot device for moving the family from one place to the next. Dan’s wife Beth is the 40-something mother to teenagers Lucy and Charlie, or Charlotte as she decides she will be called when the family moves from the US to Australia where Dan and Beth were both born. Beth has a blog – where she presents an idealised version of her family life to the world – but has not worked outside the home since the kids were born. Though, as she reminds us often, she was not legally allowed to work while they lived in the US, it wasn’t like she chose just to stay home. Lucy, older than her sister by a year, is a pretty average daughter and student while Charlie is the alpha female in any group. Popular. Gifted. Ambitious. Troubled? Beth makes friends with Andi, mother of Sophie who is one of Charlotte’s classmates at the prestigious private school the girls attend in their new home. Although musically gifted Sophie struggles socially so Andi is keen to help a potential friendship develop and gets the two families together as much as possible. Alas neither Andi nor her husband notice that Sophie is being subjected to more than the usual teenage meanness. She’s being seriously bullied, both online and in real life. Readers see it all along but the fact is only revealed to Sophie’s parents in a very frightening way. One of the things I didn’t like about this book is its treatment of its male characters. Neither Steve (Andi’s husband) nor Dan have much agency in their own right let alone as fathers or husbands. In a different book written in a different era Steve and Dan would have been the female appendages to more charismatic, important male characters so emotionally stunted and two dimensional were they. I don’t know if this was a deliberate kind of ‘turning the tables’ on gender issues in literature or there wasn’t room to flesh either of these characters out or James just wasn’t interested in their stories but this just didn’t strike me as terribly realistic for a story unfolding in the present day. Perhaps I would have found this treatment of the male gender more forgivable if the female characters had been stronger than they were. I don’t mean I didn’t like them (that is true but not my point) but that they didn’t develop. Even when their respective worlds fracture neither of the adult female characters changes in any meaningful way nor does any of the deep soul searching that is, surely, to be expected. There’s a fluttering of angst from both and some surprisingly short-lived anger from Andi and then it’s back to the average parenting and self-absorption they were both engaged in prior to ‘the event’. Although its depiction of the bullying teenagers can dish out seems perfectly, and scarily, accurate that wasn’t enough to make this book a good read for me. I thought its characters lacked depth and its story too contrived and unbelievable. For me the central question posed by the book’s premise – how might someone cope when they learn they are the parent of a bully – is never dealt with in any substantive way. However THE GOLDEN CHILD has been getting rave reviews just about everywhere but here so, as always, other opinions are available. 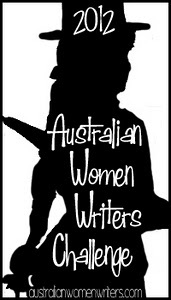 This is the 2nd book I’ve read and reviewed for the sixth Australian Women Writers Challenge. For more information about the challenge check out my challenge progress, sign up yourself or browse the Challenge’s database of reviews. 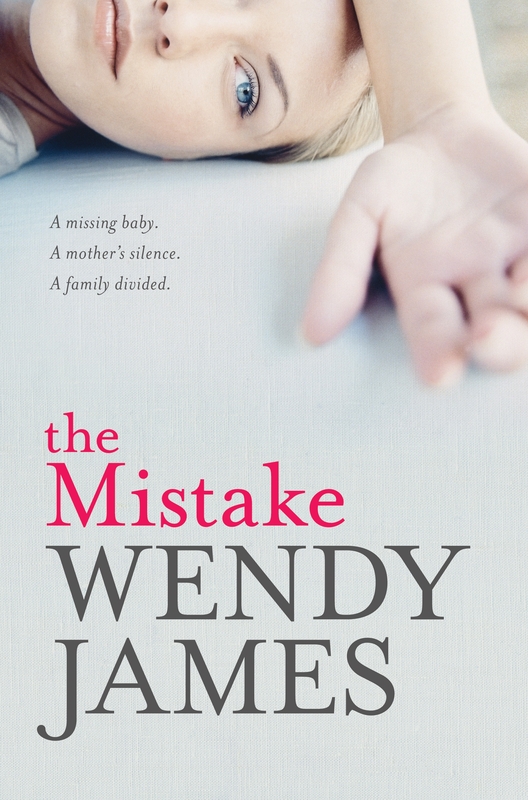 The first book of Wendy James’ I’d heard of was 2012’s THE MISTAKE and the fact it came with a Women’s Weekly Great Read sticker on its cover guaranteed I would never read it. Whatever their intent, to me those stickers say “here’s a book you know is inferior because we do not anticipate any man ever reading it“. 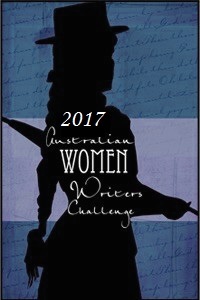 But I was participating in the inaugural Australian Women Writers Challenge that year and promised myself I would read outside my comfort zone a little so picked up a copy and prepared to be underwhelmed. It’s a measure of James’ skill and creativity that the book ended up on my list of favourites for the year, prompted me to seek out her earlier publications and ensured I eagerly anticipated her next release. 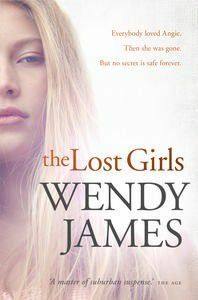 Which brings us to THE LOST GIRLS, James’ latest tale about the secrets people keep and the lies we tell ourselves just to get by. The latest of her books to get under my skin. Set in the northern beachside suburbs of Sydney its central figure is Angie who in 1978 is 14 and staying with her cousins Mick and Jane during the summer holidays. Jane hero-worships her older cousin, Mick is besotted in a different way and everyone else seems to be at least a little awe of her. Angie is all too aware of the ripples she causes but her violent death has consequences for those left behind that last much longer than her short life. In the present day Jane is a middle-aged mum on the verge of closing down the family business when their daughter meets a journalist interested in talking to the family members of murder victims. Via a series of interviews with the journalist and some flashbacks we learn about the events leading up to Angie’s death and its immediate aftermath from multiple perspectives including Jane’s, Mick’s and their mum’s. This gives the books one of its interesting slants by demonstrating how elastic the concept of truth can be when everyone has a different take on events and conversations. This is not a novel of psychotic killers and genius detectives but one of average people going about their lives. We’ve all known an Angie (or perhaps you were one), or been desperate to be someone else, or reeled from the sudden collapse of a relationship or situation we’d thought impenetrable, The crimes (it is not a spoiler to let on there is more than one), the events surrounding them and their lingering aftermath are all easily imagined. These are people you’ve known, situations you’ve been in, decisions you could easily have been forced to make yourself and it is this ordinariness that got under my skin. Unlike most crime writers James doesn’t allow readers the luxury of believing that awful things happen elsewhere. Far away. She wants you to know they can just as easily rip your own world apart. Jodie Garrow is a teenager from the wrong side of the tracks when she falls pregnant. Scared, alone and desperate to make something of her life, she adopts out the baby illegally – and tells nobody. What happened to Jodie’s baby? And where is she now? The fallout from Jodie’s past puts her whole family under the microscope, and her husband and daughter must re-examine everything they believed to be true. This is another fascinating read from Australian author Wendy James. (I read WHERE HAVE YOU BEEN? last year). Jodie Garrow kept a secret about her first baby, Elsa Mary, for twenty four years. When her teenage daughter Hannah breaks her leg on a school excursion she is hospitalised by chance at the very hospital where Jodie gave birth to her first child. Hannah shares a genetic characteristic with the earlier baby, and by chance a nurse at the hospital recognises this and then recognises Jodie. Thus begins the chain of events that leads to the investigation of what happened to baby Elsa Mary Evans. Wendy James really enables the reader to see events from Jodie’s point of view. When the hospital nurse searches the records for Elsa Mary’s birth certificate and fails to find it, she notifies the authorities and then it becomes a police matter. Jodie and her husband take the step of publicly searching for the baby and so Jodie’s story becomes public knowledge. What happens to Jodie and her family is frequently compared to what happened in real life to Lindy Chamberlain in the disappearance of Azaria. As I said earlier, a fascinating read, well worth your attention. What would you remember about her if your sister, who is ten years older than you, simply walked out one night and never came back? Would you know her if she reappeared twenty years later? Would you know if the person was an imposter? What if she didn’t have any evidence of her old identity? What if she had changed her name? What questions should you ask? And what if there was more at stake? What if you had to share your mother’s estate with her? Sure, you’d remember the impact her disappearance had. But even that would be seen from a child’s point of view. Adults would shield you from the worst knowledge. And she would be dead to you. Wendy James has taken an interesting scenario and explored it in an engaging way, taking the reader deep into the life that Susan and Ed Middleton have established. There are many variants of this scenario that readers will be familiar with: the abducted child; the mother or father who deserts the family; or daughter or son who simply leaves home. We all know someone or a family that this has happened to. Sometimes the “lost” returns, sometimes never appears again. I guess the book isn’t really crime fiction in a way, but is the prodigal sister really who she says she is, or is a crime being committed as we read? I found the suspense in the novel well done, the characters for the most part well drawn. 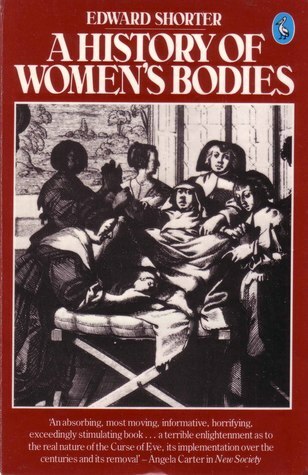 Wendy James is certainly an author I’ll look for again. I’m not sure why I haven’t come across her before, especially as she has now published 4 novels and a short story collection, and won the Ned Kelly Award for best first novel in 2006 with OUT OF THE SILENCE. 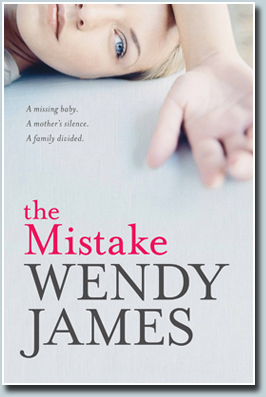 Thanks to fellow blogger Bernadette for pointing her out to me with a review of THE MISTAKE. 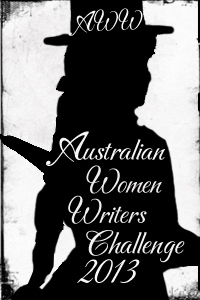 Wendy James is an Australian author of crime and psychological thrillers. She currently lives in Armidale, New South Wales with her husband and two children. As a child Jodie Garrow’s dreams were modest: to be one of the normal grown-ups she sees in town, with high heels, a station wagon and a handsome husband. But even modest dreams are hard work when you are the neglected child of a poor family in a small community that confers worth and status only to people with the right background. When THE MISTAKE opens Jodie has achieved that dream but her world starts to crumble when her teenage daughter Hannah breaks her leg on a school trip to Sydney and by chance is taken to the same hospital where Jodie once had a baby that none of her family knows about. When she goes to pick up Hannah Jodie meets a nurse who had been present at the earlier birth and she is forced to tell the woman that she had the baby adopted out. However the nurse follows up and learns the adoption, if it took place, could not have been a legal one and she alerts the authorities. Jodie is forced to share the secret of her mistake with her family and all their lives are irreversibly affected as she is effectively put on trial by the media and the community of her small New England town to the north of Sydney. To say I enjoyed THE MISTAKE would not be quite accurate but only because I spent a good deal of my reading time either spluttereringly angry at some of the horrid, judgemental characters in it or deeply sad at the realism of the wider society the book depicts. But to say I didn’t enjoy the book would give entirely the wrong impression too because I found it so engrossing that at several points I had to be physically dragged away from it in order to attend to real life obligations. There is a lot to both like and admire about this book. The complex characterisations are one of the standouts, particularly Jodie Garrow who steadfastly refuses to conform to people’s expectations of her. At first she won’t remain in the poverty-stricken life she was born to, then she won’t become the beaming mother those at the hospital assume she will want to be and finally she won’t be the crying, forgiveness-seeking, soul-bearing woman that the media demands when her past is revealed. For all of these refusals she is pilloried by strangers and friends alike, portrayed as uncaring and murderous in the media and misunderstood by almost everyone, even by her family. Several comparisons are made in the book to the real-life case of Lindy Chamberlain (whose baby daughter Azaria’s disappearance in 1980 prompted truly vile media coverage primarily because Chamberlain was not a ‘typical’ blubbering mess on camera) but as I was only 12 when that took place the events this book reminded me of were more recent. In 2001 two English tourists were kidnapped in the Australian outback and while the woman of the couple, Joanne Lees, escaped the man has never been found (though someone has been convicted of his murder). Local media coverage quickly moved from sympathy for Lees to scathing commentary to all but accusing her of nefarious involvement in events and all because she didn’t cry and appear suitably emotional on camera. In THE MISTAKE James depicts a similar kind of non-conformance from Jodie and her community’s brutal retribution for that failure to conform is also shown with saddening perfection. For, not surprisingly, Jodie’s harshest critics are other women. Perhaps because I have been reflecting for the past few weeks on the sad reality that in this National Year of Reading only one of eight books voted to represent Our Story was written by a woman, I was struck by what a wonderfully Australian story this book by an Australian woman is. I don’t just mean that it mentions notable locations and so on but it is a story that I think would play out differently if it were set elsewhere. Here aspirations of the sort held by the young Jodie Garrow, for a different life to the one she was born to are not really admired in the way they would be in other places (America for example) and, again, I think James has encapsulated this reality into the book very naturally and credibly. The book is also about secrets; what happens when they’re kept and what happens when they’re revealed. And Jodie isn’t the only person to have them. Her husband Angus and daughter Hannah have their fair share of things they don’t want anyone else to know. It is quite fascinating to see whether or not the characters will realise that their own desire to keep secrets is the same thing that has been motivating the actions of the wife and mother that both have struggled to forgive for visiting such tribulations upon their family. THE MISTAKE is a cracker read, almost guaranteed to generate discussion and disparity of opinion amongst its readers, perhaps depending on their own life experiences. For example I was particularly cross at the meddling, busy-body of a nurse who prompted the revelation of Jodie’s past but a colleague who has read the book thought the nurse did exactly the right thing! It is one of those books I know I will recommend over and over again, especially as I think it only dances around the edges of the crime genre so it will be palatable even to those of my friends who profess not to like crime fiction at all. Thanks to Angela Savage whose review of the book prompted me to buy it. You might also want to check out Book’d Out where Shelleyrae gave the book a glowing review and then interviewed Wendy about her writing. 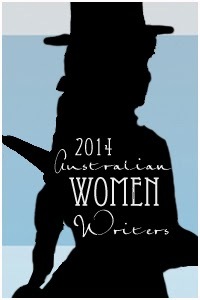 I’m counting this as my fifth book towards the Australian Women Writers Challenge for the year.